U.S. Route 322 eastbound, northwest of Mifflintown in Fermanagh Township, Juniata County. In late summer of 1977, I landed in State College for my first year at Penn State. Arriving as a 17-year-old from Williamsport I was familiar with State Routes 26 and 64 as the way to get to and from Happy Valley. While a student I had a rare opportunity or two over the next few years to drive and become vaguely familiar with highway U.S. 322 as a way to get to and from Happy Valley if I was going to Harrisburg, Philadelphia, Baltimore, or Washington, D.C. Certainly for trips south of Harrisburg one could attempt the backroads through Huntingdon and beyond, but in those pre-Internet, hard-copy map days, a solid red line on a map beat a thin black line any day. U.S. 322 was a solid red line. The rest were not. During my time at Penn State I met a wonderful woman – a State College native – who would become my wife. This meant that during those first few post-college years while we were out in the real world, we always had a reason to come back to town, and that usually put us on U.S. 322. So I slowly became more acquainted with it. But at 6 a.m, on Jan. 12, 1986, I drove my future mother-in-law and I in a loaded VW Scirocco out of Happy Valley, headed down U.S. 322, kept going past Harrisburg and arrived at an apartment in Orlando, Fla. that night. My wife and I lived in Orlando for the next 13 years and may have driven US 322 between Harrisburg and State College once or twice in those ensuing years. Which wasn’t a bad thing as far as I was concerned. After those 13 years in the glorious sunshine, in 1999 we moved north to Bucks County, Pa., and during a few trips to Happy Valley rediscovered the concrete and asphalt jumble of U.S. 322. It oddly seemed to have stood still in time during our decade-plus absence. Having resided in Orlando during a time when its population grew from just under a million to more than 1.5 million, we had become adults in an area and era when roads were built and enlarged seemingly daily. A two-lane rural road grew to four lanes, got red-lights, then divided, got turning lanes, and then became six lanes, all within a few years. In 1999 when we again ventured on to U.S. 322 it was still a mish-mash of two-lane, two-lane with alternating center passing lanes, ancient four-lane with street access, and some limited-access four-lane — identical to the way it had been years before. Slowly though, the modern age arrived and a true limited-access, four-lane highway from Harrisburg to State College began to take shape. Within a year or two of our return the two-lane section from north of Harrisburg to the Clark’s Ferry bridge was upgraded, meaning we no longer had to drive slowly through the borough of Dauphin. Initially we thought the Hardee’s in town would be stranded and abandoned, but it still exists today and was even recently renovated. During that same time the section around Milroy was opened, removing all the traffic from the local road often used by the Amish and their buggies and carriages. Eventually our family was lucky enough to move back here to beautiful Happy Valley in late 2005, and that is when our true love affair with U.S. 322 manifested itself. In the State College area there are hundreds and hundreds of kids who are involved in sports. And as the parent of any sports-playing child knows, to find competition you often have to go out of the area. That’s one of the few downsides of being so geographically isolated here in Happy Valley. As your kids grow older and the pool of athletes begins to dwindle, it usually means going further and further away. This is true for club sports as well as high school sports. In the fall of 2004 State College Area High School was admitted to the Mid-Penn Conference, the largest athletic conference in Pennsylvania, to compete in AAAA football. Then in 2012-2013 State College High School was admitted into the Mid-Penn Conference for all sports. 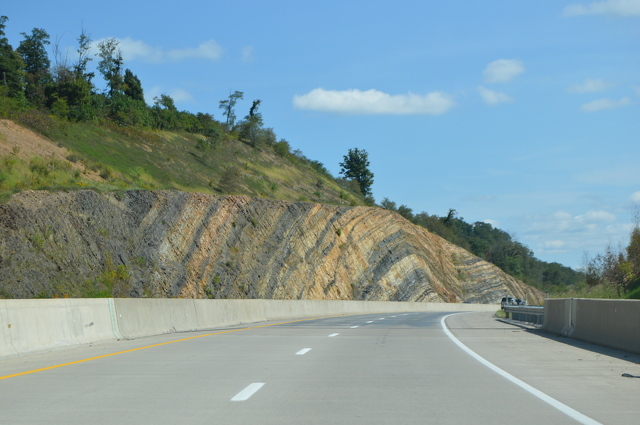 This second event came just four years after the completion of U.S. 322 construction in the “Narrows” section along the Juniata River south of Lewistown – removing the last non-four-lane piece of highway north of Harrisburg all the way to Seven Mountains. That meant a trip from State College to Harrisburg could now be completed in 90 minutes – rather than multiple hours – and was much safer. It became a key transportation factor because, for State College, playing every school in the Mid-Penn conference requires a trip down U.S. 322. Most all the way to the Harrisburg area. Consequently, for the last several years my wife and I have been driving up-and-down U.S. 322 to watch our son play club soccer, high school soccer and high school football. How much driving you ask? The car we bought on June 22, 2018 with five miles on the odometer (mostly our test-drive mileage), now has 12,844 miles on it. That’s more than 2,500 miles per month. Granted, not all of it is along U.S. 322, but a good portion of it is. Unfortunately, the high school soccer and football seasons this year did not end with one final trip on U.S. 322 to Hersheypark Stadium for championship games, but they both made the state quarterfinals and had very good seasons. And so it is that as our son’s high school athletic career comes to a close, so does our close association with U.S. 322. As we reminisce about our time on the road we’ll miss the Red Rabbit, Sheetz and the new Rutter’s in Clark’s Ferry. We’ll miss the Mickey Dee’s, Giant and Subway at Newport. We’ll miss the Sheetz in Mifflintown (are you seeing a trend here?). We’ll really miss the new Sheetz in Reedsville – especially with the Kish Bank right across the street. And if I ate soft-serve as much as I used to, I’d miss the DQ in Milroy. But what we definitely won’t miss is that 8-mile stretch of U.S. 322 from Potter’s Mills to Boalsburg – the last-gasp defiant two-lane stretch of road between State College and Harrisburg. I’m certain I won’t live to see the completion of it unless they decide to go through or over Rothrock State Forest. Happily, since it’s no longer a weekly concern, however slowly the wheels of progress turn, it’s alright with me. 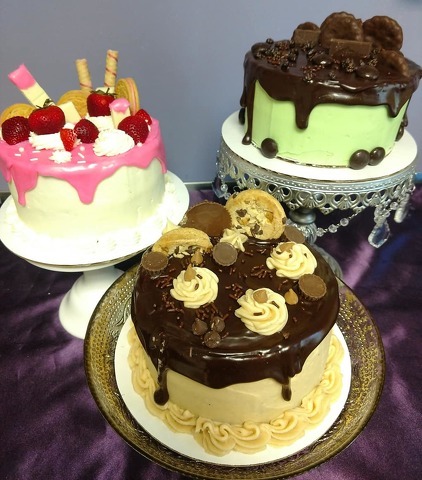 Downtown Bellefonte welcomes a new business early next year when The Cakery takes over the current Bone Bar and Boutique location at 135 W. High St. However, this is hardly owner Melissa Stitzer’s first go at the bakery and cake decorating business.